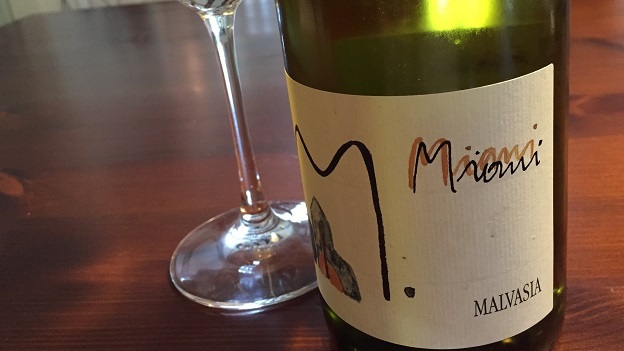 What a treat it is to discover Miani’s 2011 Malvasia, one of the rarest wines proprietor Enzo Pontoni has ever made. Still remarkably fresh, the 2011 presents striking nuance, texture and finesse, all supported by intense beams of minerality that are unusual for a warm, early-ripening vintage that on paper was not especially well-suited to the production of top quality white wines. Peach and apricot pit nuances are pushed forward, followed by suggestions of slate, pear and white flowers. The 2011 is unctuous and resonant on the palate, but never heavy. This is an especially intense, ripe style of Malvasia, with varietal character in evidence mostly on the palate, while the aromatic dimensions of this indigenous grape lie more in the background, partially baked out by the warmth of the year. I remember the first time I visited Miani, with its small cellar and patchwork of tiny old-vine parcels. It took me several years to get an appointment. Every time I called, Enzo Pontoni’s mother would tell me my only chance of catching him was either during lunch or late in the evening because the rest of the time he was in the vineyards, where his lavish attention to the plants is the stuff of legends. As far as I know, the 2011 is the first and, so far only, Malvasia Pontoni has bottled. Production was so small the wine was never presented to me with the rest of the 2011 whites. I am grateful to the Vinous readers who pointed out its existence! Once again, we are reminded that so many of the world’s finest wines are the product of the land as interpreted by growers with extraordinary passion and an unending drive to produce only the very best. 94/Drinking window: 2015-2021.